The coffin of Stephen Hawking arriving at St Mary the Great Church in Cambridge, England. The actor Eddie Redmayne, who played Stephen Hawking in the 2014 film “The Theory of Everything,” gave a reading. 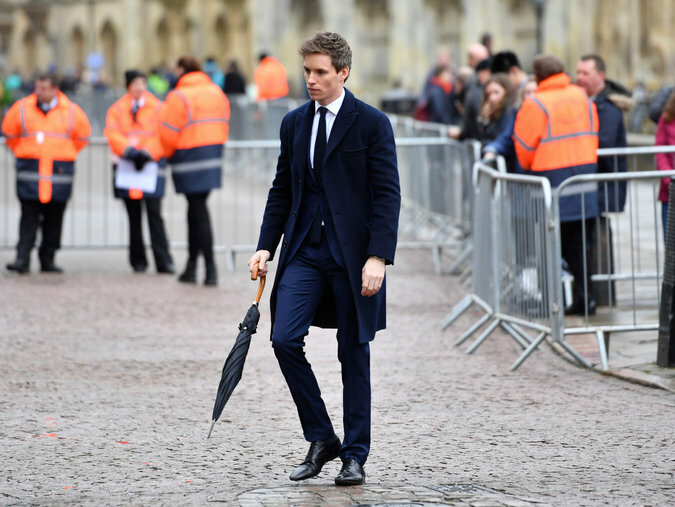 The actor Eddie Redmayne, who portrayed Hawking in the 2014 biographical drama, gave a reading from Ecclesiastes during the service at St. Mary the Great Church. There was also a reading by Martin Rees, Britain’s Astronomer Royal, and eulogies by one of Hawking’s children and a former student. The service was officiated by the Rev. Cally Hammond, the dean of Gonville and Caius College at Cambridge University, where Dr. Hawking was a fellow for 52 years. Hundreds of people lined the streets of Cambridge as the hearse carrying the remains of Mr. Hawking arrived. Flags were lowered to half-mast in many parts of Cambridge to pay tribute to him. Next : Russia’s Feared ‘Night Wolves’ Bike Gang Came to Bosnia. Bosnia Giggled.